Got a sheepish sub on your hands? Lead the way when it comes to superior satisfaction! Lavish yourself in luxurious lamb’s leather with our UberKinky Classic Lamb Leather Lead. 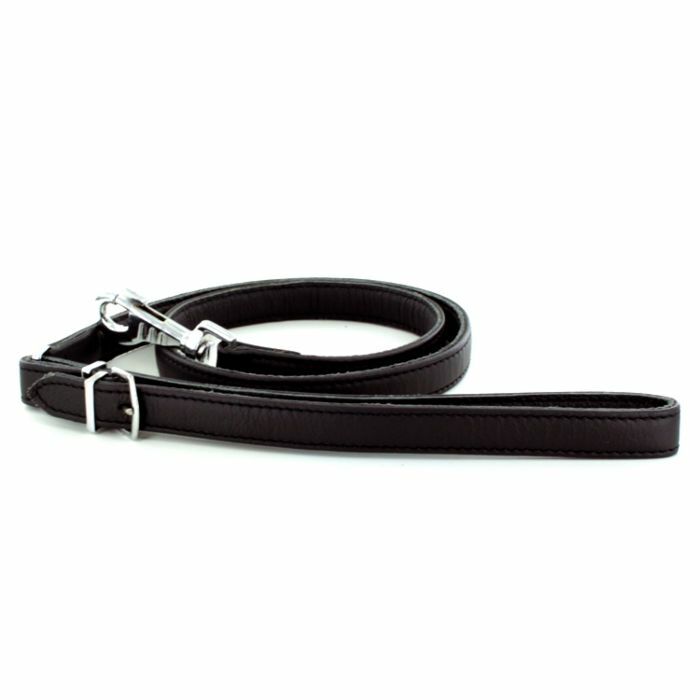 This leather lead features a built-in dog clip wide enough to clip onto any slave collar’s D-ring. You’ll find that while this leather lead is stunningly beautiful, it’s also very heavy duty, so it’s perfect for any kind of role play where you need a lead. Boasting supreme stitching and innovatively designed with a buckle to secure the wrist loop in place, this luxurious leather lead is perfect for parading your pet in style. Additionally, the trigger clip fastening is durable and promises to keep subs on a tight leash for the duration of your play!